When Marco and Grace Franca moved from Sao Paulo to Lakeland in 2014, they concluded that Lakeland had the potential to be a destination city except for one small detail – there was a lack of high-end local restaurants. As they made personal and professional relationships in town, they quickly realized that they were not alone in their feelings. The self-identifying foodies paired their Brazilian heritage with their entrepreneurial spirits and took matters into their own hands – they set out to bring Brazilian-inspired cuisine, culture, and an upscale, trendy ambiance to Lakeland, FL. 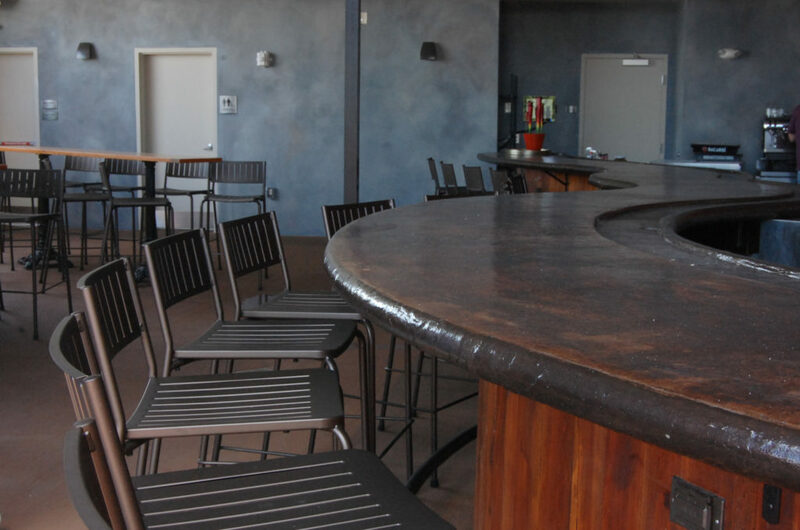 To facilitate their goal of becoming a destination restaurant, they’ve transformed their second floor into an event space that can host gatherings of up to 130 guests. They’ve also turned their rooftop into a lounge (open seasonally) with a 30ft bar and a birds-eye view of downtown Lakeland. 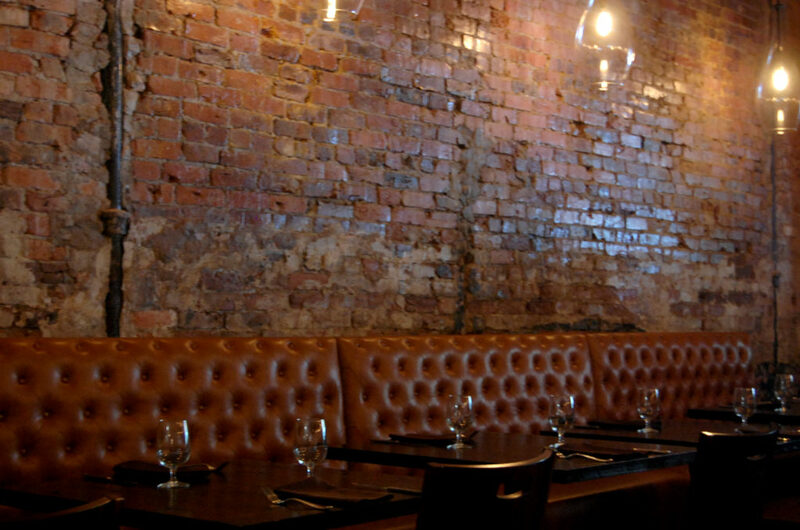 Posto 9 resides in a historic building downtown, originally constructed in 1908. 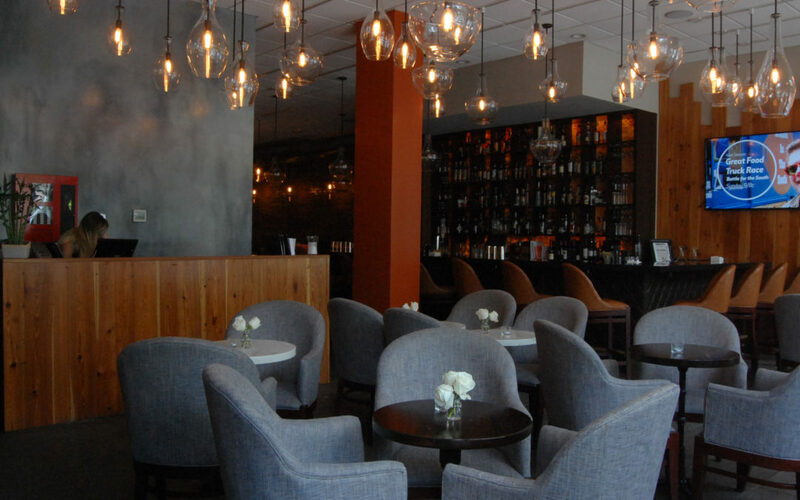 Over the course of nine months, they worked tirelessly to create a contemporary destination restaurant while preserving the building’s historic charm. 13 tons of wood dating back to the late 1800s were re-purposed into dining tables and furniture. Many of the original doors and frames were salvaged and re-used throughout the restaurant, as well as 5 of the original bay windows. 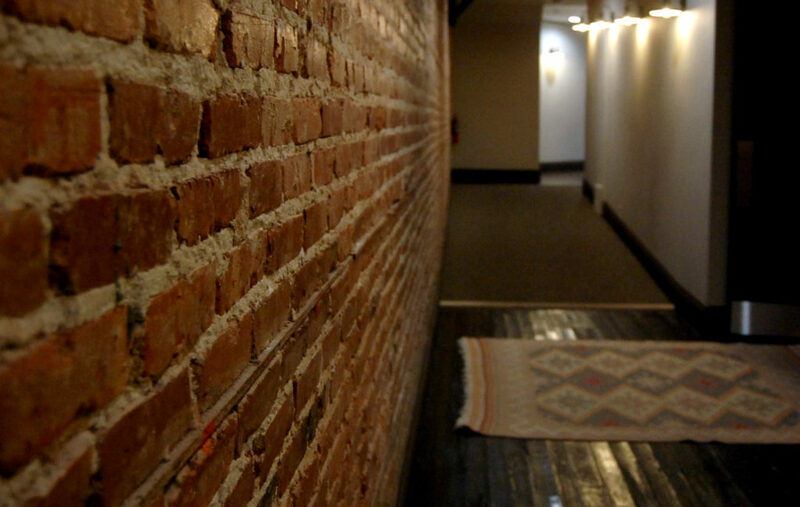 Over 3500 sq ft. of hardwood floors were restored to their former glory and over 90% of the original brick remained untouched or re-purposed. Despite the clean, contemporary furniture and décor, you’ll never forget you’re in a century old building. 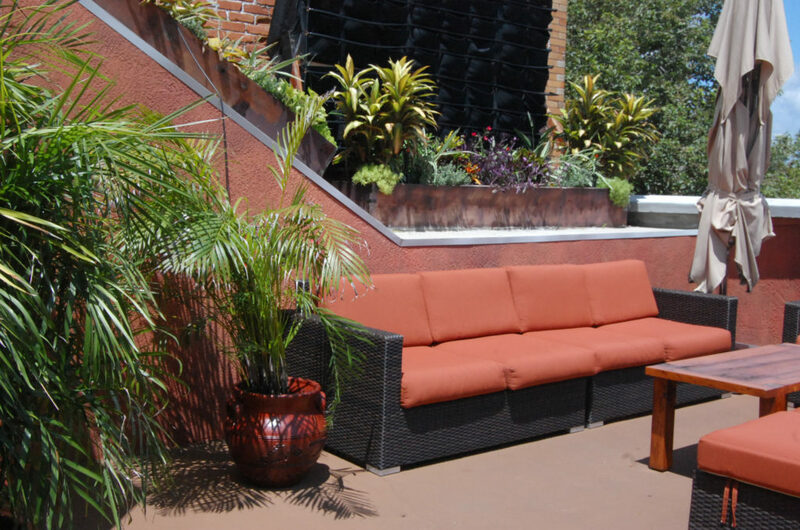 Just as amazing as the space they’ve built around them is their rotating menu of elevated Brazilian cuisine and seasonal selections. Posto 9 is not your typical churrascaria steakhouse that may come to mind when you think of Brazilian cuisine. It is a restaurant inspired by Brazilian flavors, techniques, and ingredients with a decidedly American and contemporary spin. The menu is dotted with familiar American dishes, like Chicken and Waffles, utilizing the flavors of Brazil (cheese bread waffles, poblano aioli, and guava ketchup). Brisket and short rib patty, manchego cheese, bacon, sunny side up egg, bacon mayo, and shoestring potatoes on a house-made brioche bun. 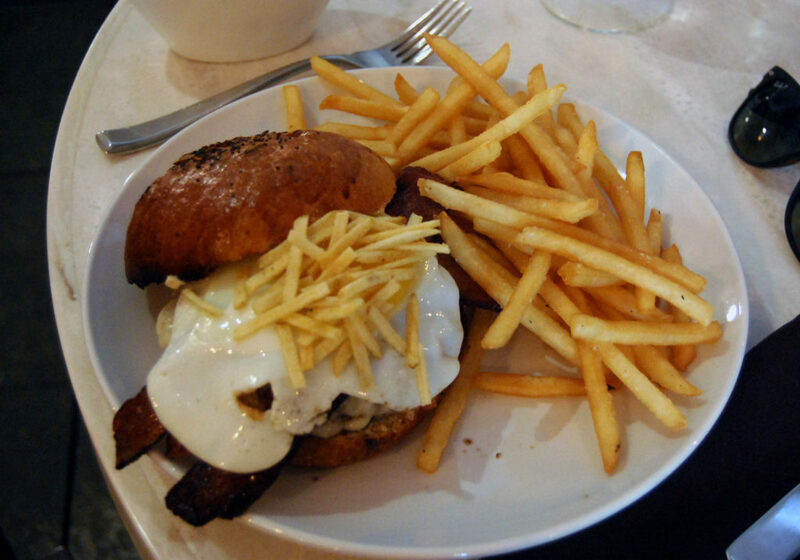 Ours was served with truffle fries. For our resident vegetarian, our waiter Corey was kind enough to have the kitchen whip up something special – a sort of mashup between the Chicken and Waffles and the Grilled Vegetable Salad. 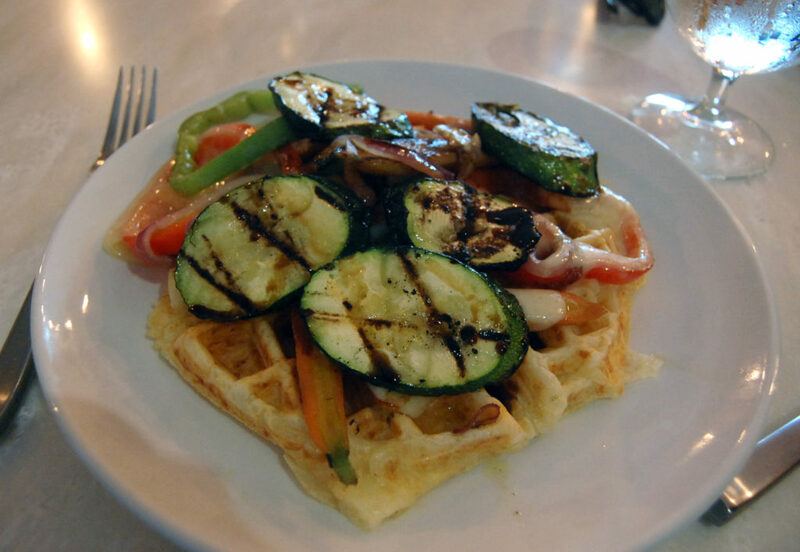 Grilled vegetables sat atop their signature cheese bread waffle with melted manchego and a molasses demi glace. 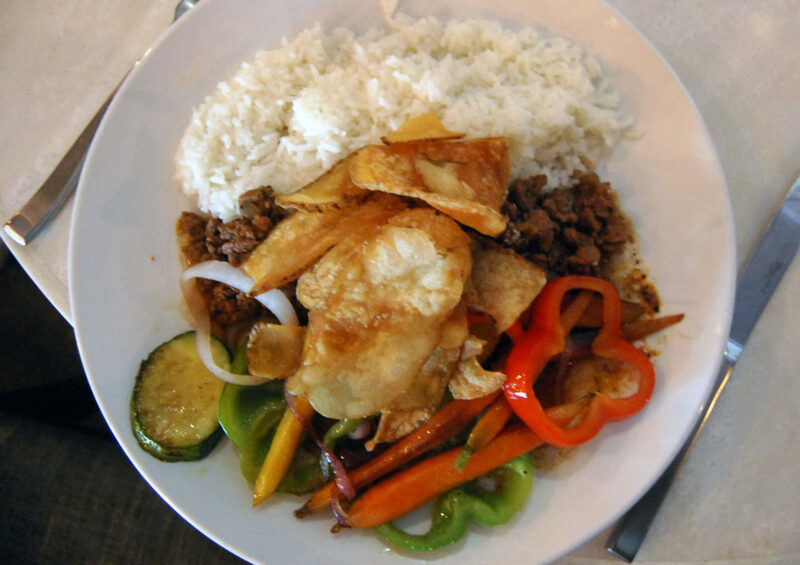 We can’t guarantee this off-menu dish will always be available, but we highly recommend it! After lunch we enjoyed mugs of our Brazil Fazenda Alta Vista paired with their Roasted Banana Bread Pudding – a caramelized banana bread pudding with fried bananas, crème fraiche ice cream, bourbon caramel sauce, and a sprinkle of volcanic black sea salt. Marco, ever searching for elevated quality, cupped coffees with the Patriot team and selected the coffee and roast profile that most reminded him of home. The coffee is a special selection, from an award-winning farm. 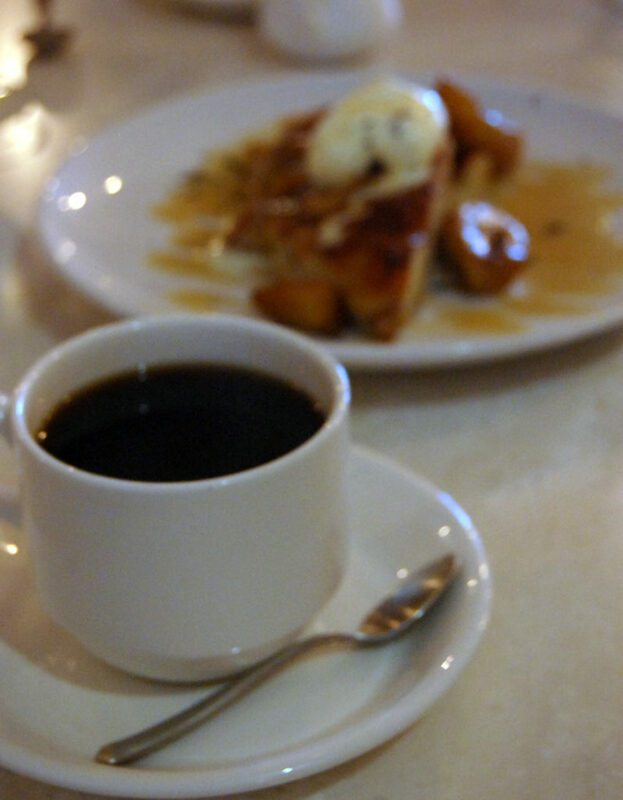 We roast Fazenda Alta Vista on the darker side so that it stands up to the rich decadence of their desserts. 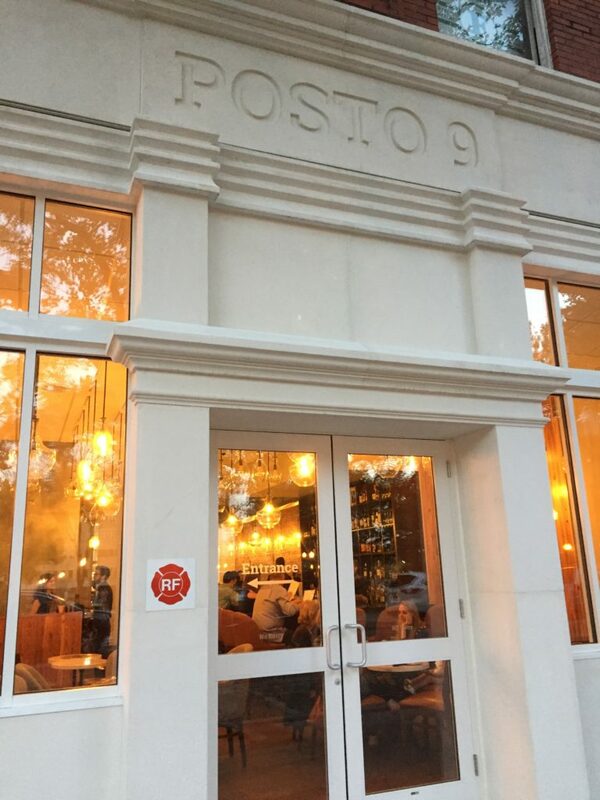 We love what Posto 9 is doing to the local food scene here in Lakeland. They’ve proven that there is a real market for upscale restaurants and are paving the path to turn our town into a foodie’s destination. Their modern take on Brazilian cuisine paired with their commitment to excellence has made them a true joy to work with. 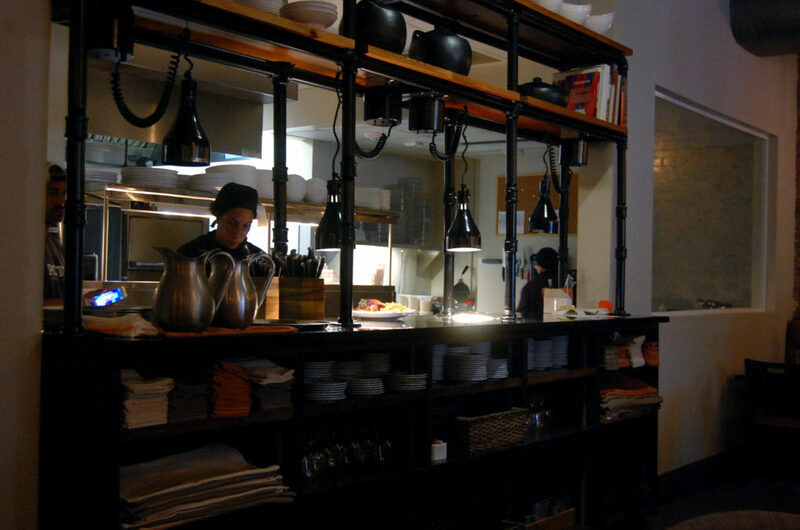 To see their menu and to learn more about Posto 9, visit their website.